Staying in such a hot and humid country, I have always been looking for the best BB cream, BB cushion or even foundation that really work on the skin and last for the whole day, without the need of touching up. Since summer is near, I have thought of creating a sweat-proof tutorial, which was just in time for my Bentong day trip, electric run as well as a short vacation to Time Capsule Retreat with my girl friend. With no doubt, we girls want to take nice pictures even when we are sweating. That was what I thought of! I wanted to take gorgeous shot even when I am on my ATV ride, hiking under the hot sun or even running the world! 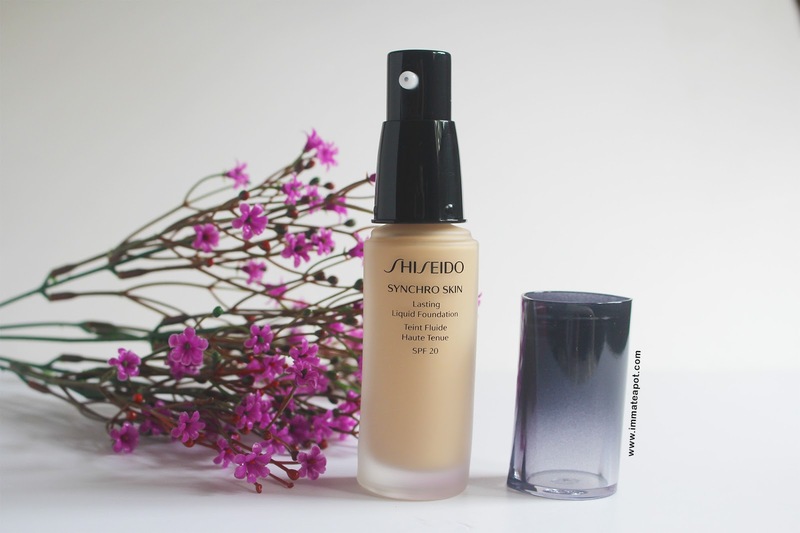 Recently, I was trying the Synchro Skin Lasting Liquid Foundation from Shiseido. 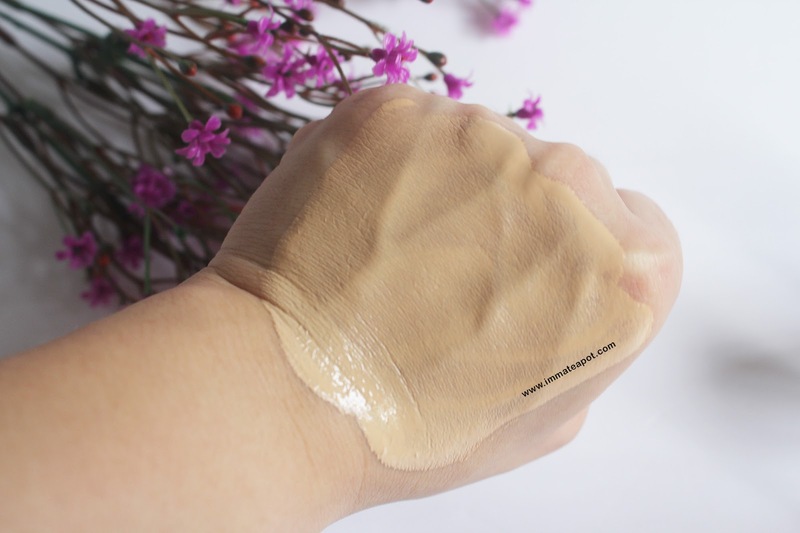 This foundation is known for its ultimate beauty potential where it can easily adapt into every skin tone and creating a beautify effect, like camera! 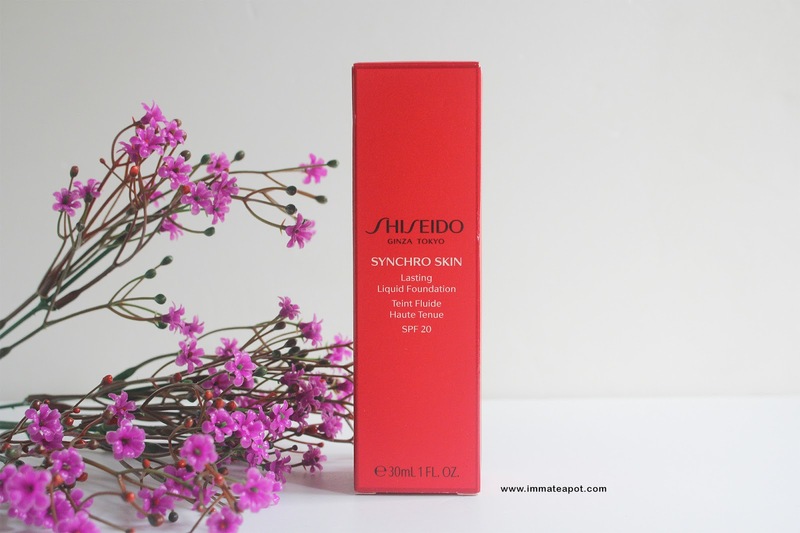 Shiseido Synchro Skin Lasting Foundation - " a foundation that draws out the skin's natural vitality to reveal its true splendor. " I really love the packaging of it, with my favorite color of red, which is classy and eye-catchy. With only descriptions in black and white, it gives a simple yet elegant touch to the overall packaging. Nothing too complicated, a long red box. The bottle itself comes in a feminine curvy shape, like a woman! Confidently and gracefully. Besides, it comes with the usual pump that helps in controlling the amount of foundation we need. This foundation comes with an unique intelligent formula (Advanced Sensing Technology) that can synchronize with our skin tone and skin condition, leaving our skin with natural finish while enhancing each skin tone in achieving the healthy glow. In addition, the airy cushion formula helps creating a silky smooth finish on the skin, lightweight and comfortable, yet keeping our skin in perfect condition for all day long, as well as working as a sunscreen (SPF 20+). 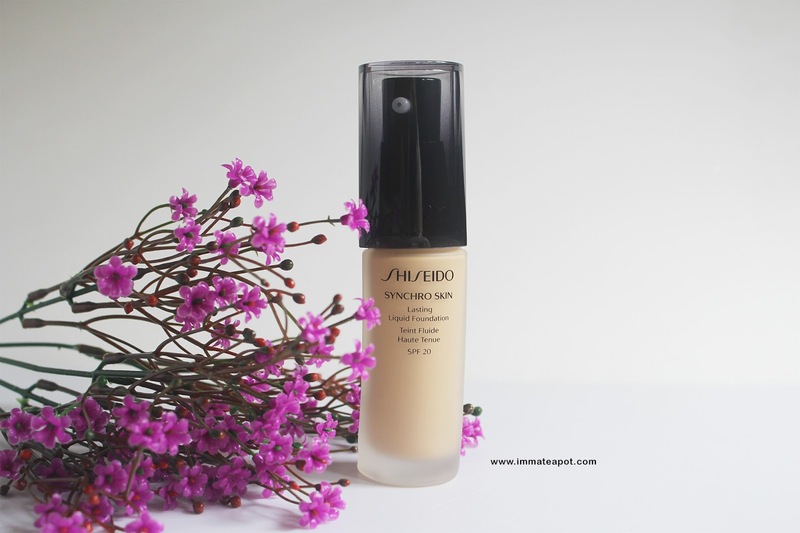 In this foundation range, Shiseido has successfully produced 13 new shades to satisfy a wider range of skin tones, from cool reddish tone till warm yellowish tone. 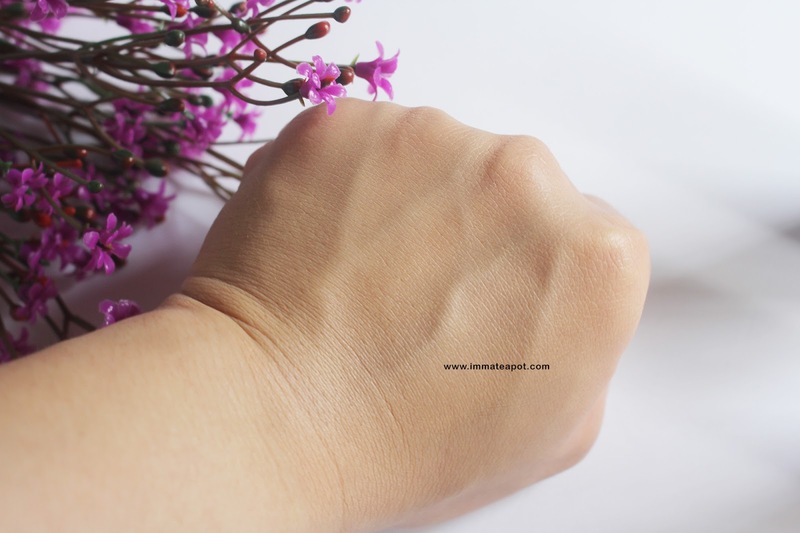 During the first pump on my hand, it was not as liquefy and dilute as I thought. I thought some of the tiny bits may just drip on the floor or even messed up all over my hand. Surprisingly, it didn't. All the particles were bonded so well. Remember that, one pump is just good enough to cover up the whole face, especially if you are going for a natural day look, for work or friends hangout. The foundation is so easy to be spread and even out on the skin. The foundation can be blend into my skin tone so effortlessly, just like the second layer of my skin, leaving my skin with silky smooth and radiant glow finish. In addition, there was some moisture touch on my skin, looking supple and fresh. Before the application of foundation, my skin condition was kinda terrible with obvious huge pores and red blemishes, as well as dark circles which look like the bruises. My skin tone was uneven, pretty dull on the chin and forehead, whereby brighter tone on my cheeks. After the application, my skin looked so flawless and natural with just a thin layer of the foundation. 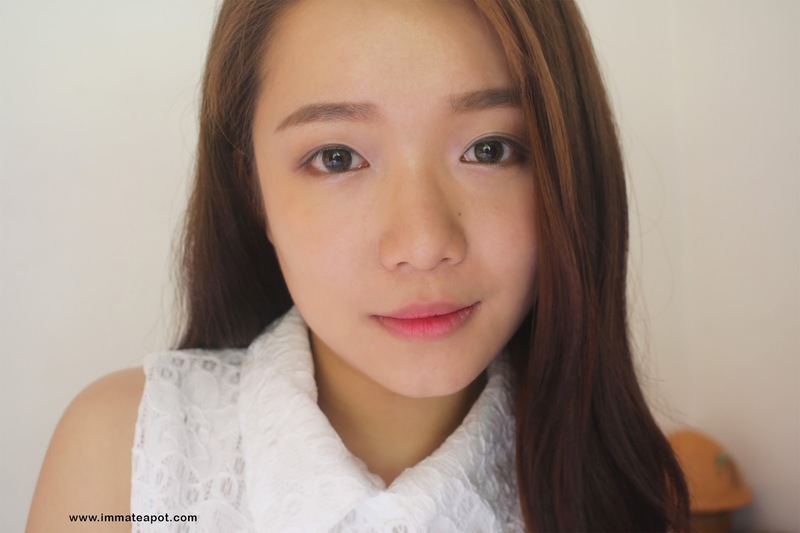 Without any application of concealer, the foundation worked like a miracle in covering the dark circles. My skin looked so glowy and even in terms of the skin tone. 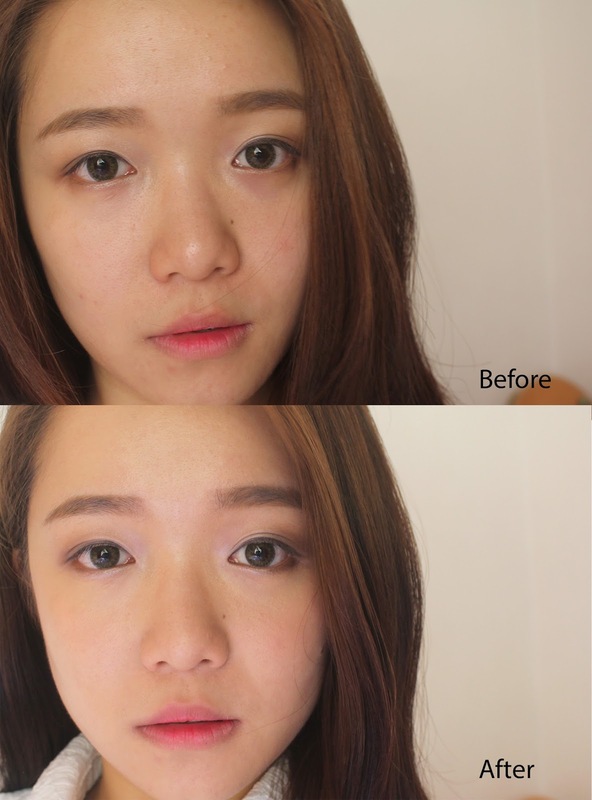 Overall, the application on the face is fast and easy, without putting much effort in blending. I really love the formula of adapting into the skin tone, as there wasn't that much distinct from the face and neck. It just like a second layer of the skin, natural yet flawless! 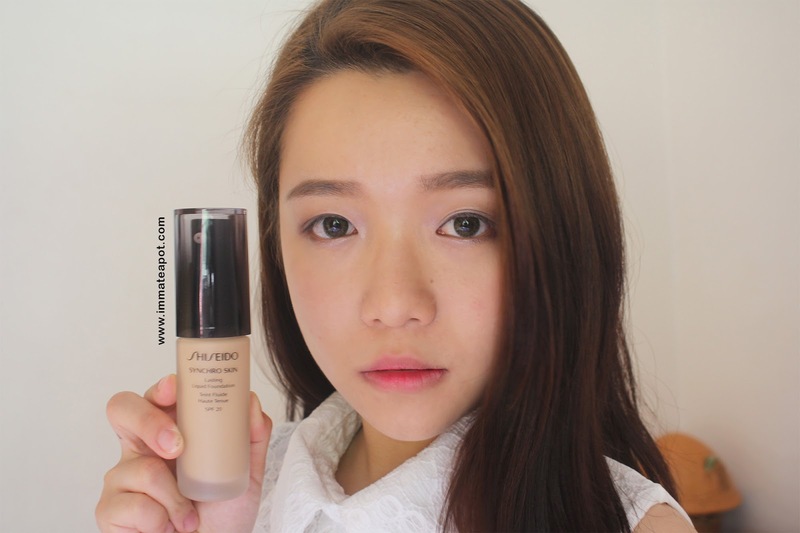 Btw, I have created a sweatproof makeup look using the Shiseido Synchro Skin Lasting Liquid Foundation and some others highlighted products which are just perfect for Summer! Size : 30 ml | 1 FL. OZ. For more products details and information, please feel free to visit Shiseido on Facebook | Official Website. Awesome foundation Babe! I am loving the efficiency of this product. Very natural makeup! I love Shiseido products. Really good quality. It has beautifully blended in your skin without making a layer and best is that it is sweat proof. I need sweat-proof foundation as well, especially in our weather. I love its easy application and it is not that expensive, too. Your skin seems to be very smooth now after using the product. sweat proof definitely sounds like a great product for us in Malaysia - especially when the weather is so hot this year! Nice product. I actually came here just to look at the product photos. Your photos are very nice. Shots look very professional. Wonder what gadgets do you use. Anyway, one of my friend was talking about this brand recently. Will share this product with her. Thanks. its really cover your skin. great foundation. looks nice and its blend well. seem a good liquid foundation. may consider it for my next foundation purchase .